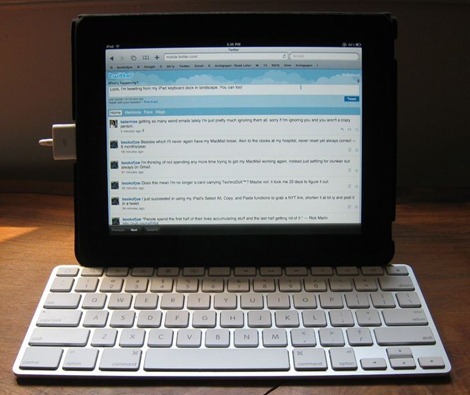 The physical keyboard of the iPad Keyboard Dock is for sure much faster and more comfortable for creating long documents than the onscreen virtual one. The biggest problem with both the iPad Keyboard Dock, and the regular Dock is that it is designed in a way that forces you to attach the iPad in portrait mode. Super Duper Guide to iPad – Everything You Need to Know! and now it's a step closer to a useful netbook. well done Apple, you're evolving to were everyone else already is. 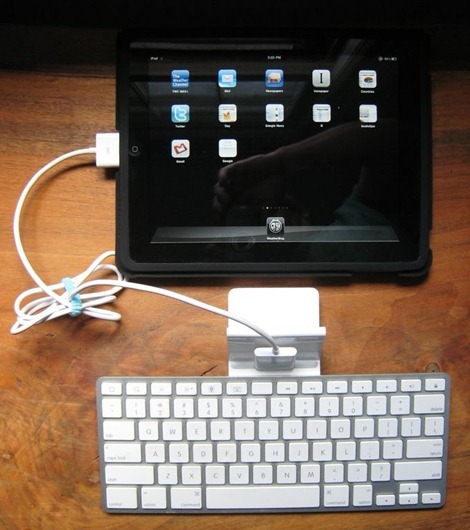 A combination of a good iPod stand and the Apple wireless keyboard is a better option than that iPad dock keyboard.